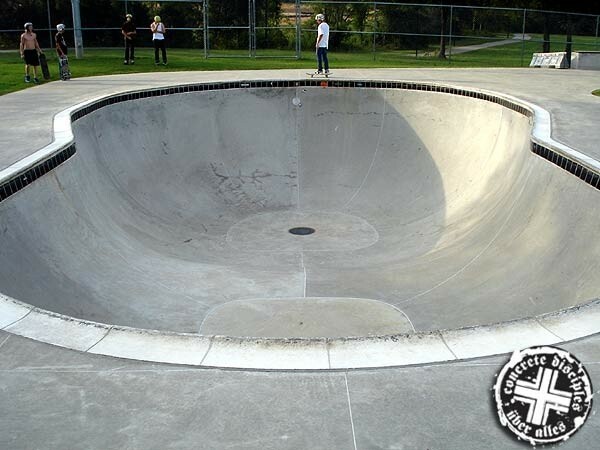 This street plaza includes obstacles such as ledges, stairs, handrails and manual pads, plus the skull bowl which has real pool tile and pool coping. 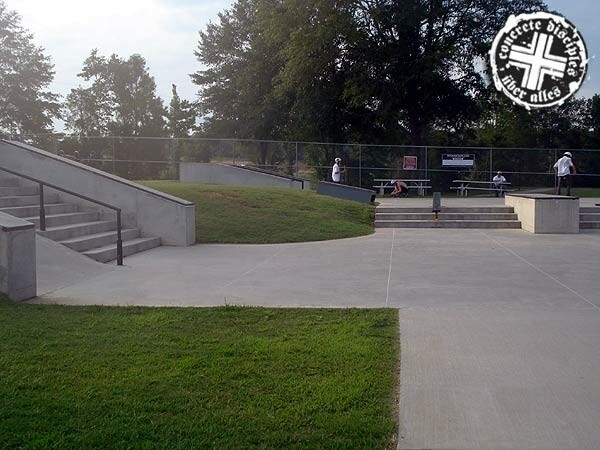 Looks like a great park. It's about 30 minutes south of Birmingham. I made the drive, only to see the gate locked, and a sign that said it was closed Monday, Tuesday, and most holidays. It also does not open until 4PM other weekdays. There are lights at this park, and it is open until 8PM. 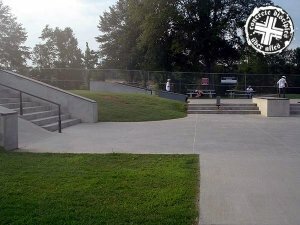 The park opens at 12 on Saturday, and 1 on Sunday. I thought better of jumping the fence, and I'm glad I did, because the Parks and Rec guy was there asking me questions within 5 minutes of me pulling into the parking lot. Call for hours- 205-620-4715, or 205-664-6840.